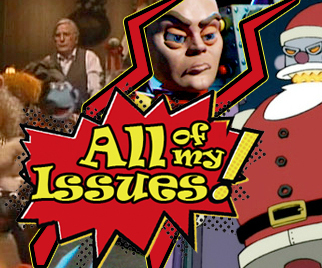 Episode 17 – Holiday Issues – All of My Issues! Our Christmas/Holiday extravaganza (a.k.a. Episode 17). We discuss the following topics: why it’s ok that penguins can’t fly, the collision of Muppet Multiverses, Chris learns a new holiday word, and more . . . all in this very special, holiday episode. Spoilers . . . we don’t even mention the Star Wars Christmas Special once!